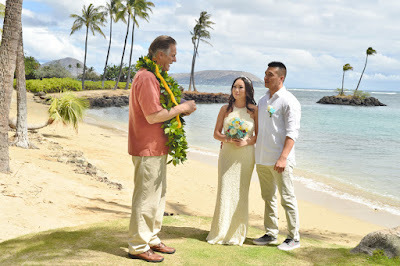 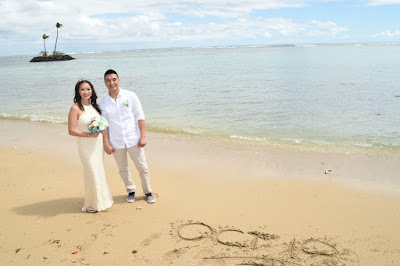 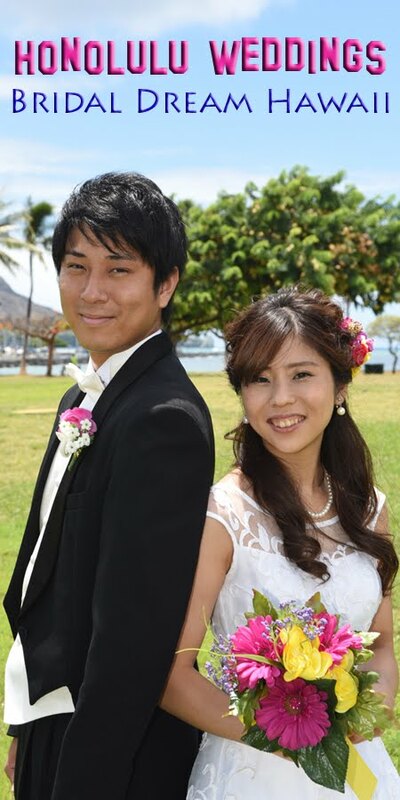 Rev Chris performs Tu and Thuong's wedding at Kahala Beach. Photos by Robert Hamilton from Bridal Dream Hawaii. 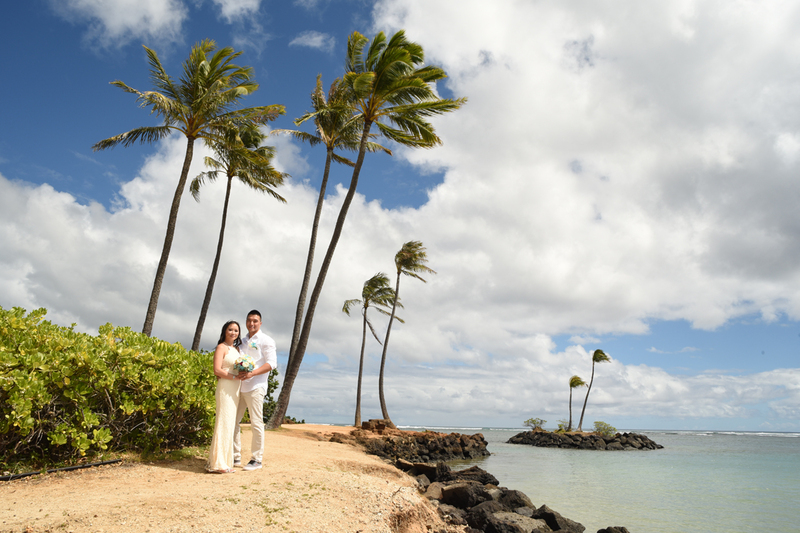 Stunning tropical landscape at Kahala Peninsula. Definitely worth the drive from Waikiki. Don't miss the Bride's blue & yellow TROPICAL BOUQUET!